Too many hardworking people go without seeing a doctor, dentist or counselor because they believe it is unaffordable. It’s not. 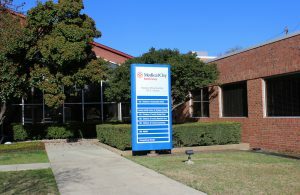 Family Health Center welcomes Medicaid, most STAR Plans, CHIP, Medicare and most insurances. We also offer a sliding fee scale based on family size and income. If you have private or employer-based insurance, our clinic welcomes that too. If you obtain insurance while a patient at Family Health Center at Virginia Parkway, we would be happy to continue serving you. Whether you are looking for a family medicine doctor, family dentist or behavioral health counselor, the Family Health Center at Virginia Parkway can be your “Provider of Choice” for the entire family. Schedule an appointment today by calling (214) 618-5600. Plus, we do accept walk-ins during regular business hours. © 2019 Family Health Centers of North Texas, All Rights Reserved.